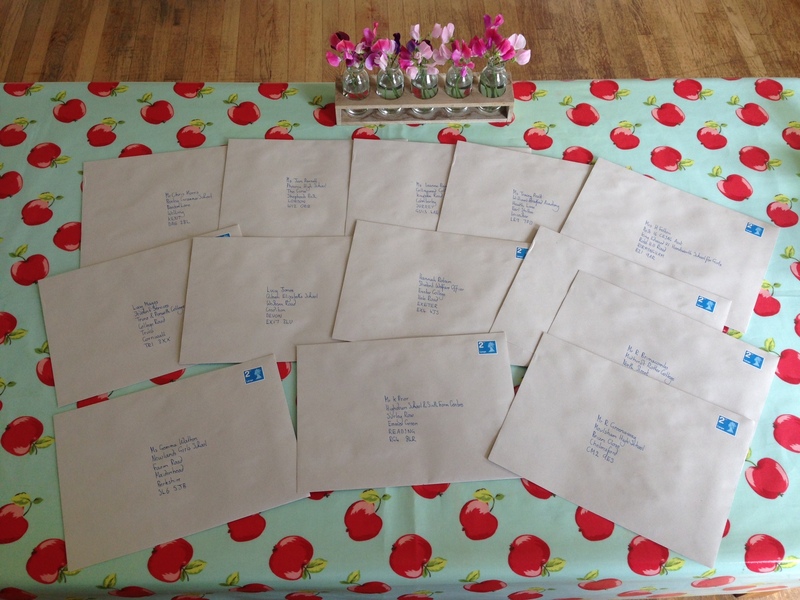 We’ve just mailed out packs for our first fifteen Scholarships! The roll of honour: Truro and Penwith College, Exeter College, Collingwood College (Camberley), William Bradford Academy (Leics), King Edward VI Handsworth (Birmingham), Queen Elizabeth’s School (Crediton), Matthew Arnold School (Oxford), Moulsham High School (Chelmsford), Midhurst Rother College (West Sussex), Newlands Girls School (Maidenhead) and Highdown School (Reading). We’re really chuffed to be involved with all of them.